For the second year in a row, the University of Florida College of Medicine has risen three spots in U.S. News & World Report’s latest rankings of the nation’s top research medical schools. UF is ranked No. 42, up from No. 45 in 2013, according to the publication’s annual Best Graduate Schools rankings, which were released today. Among public medical schools, UF now ranks No. 17 nationally and is the highest-ranked medical school in Florida. “Our goal is to provide the best medical education possible to our students, who are poised to become the next generation of physicians and scientists. 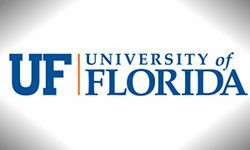 We take this responsibility very seriously, and accomplishments such as this reflect the dedication of our faculty and staff toward all of our missions,” said Dr. Michael L. Good, dean of the UF College of Medicine. Each year, U.S. News & World Report ranks the nation’s accredited medical schools based on factors such as National Institutes of Health research funding, GPA and the MCAT scores of incoming medical students, faculty-to-student ratios and peer assessments from leaders of other medical schools. When all of these parameters are considered, the publication compiles a list of the top medical schools in the country. “Over the past several years, our medical school has attracted national attention for recruiting superb scientists and clinician-investigators, along with our substantial increase in NIH funding at a time of flat funding nationally and building a new medical education facility that embraces small group learning, interprofessional education and novel simulation methods,” said Dr. David S. Guzick, senior vice president for health affairs and president of UF Health. Factors that likely contributed to UF’s rise in the rankings during the past two years include increased competitiveness for medical school applicants associated with the college’s recent medical curriculum revisions and national recognition of UF’s quality, safety and clinical programs, said Dr. Joseph C. Fantone, senior associate dean for educational affairs in the College of Medicine. Stephen P. Sugrue, senior associate dean for research affairs, noted that it was a difficult and challenging year for research funding in all U.S. medical schools, yet the UF College of Medicine experienced an increase in base funding from the National Institutes of Health for the fourth consecutive year. These increases have resulted in a cumulative 37 percent increase in NIH funding between 2009 and 2013. “This amazing progress was due to the tremendous hard work by our faculty, our research teams as well as our hospital colleagues, whose efforts greatly support much of this work,” Sugrue said. The complete U.S. News Best Graduate Schools rankings data are available online here.